1.9 How To Apply For BSSC Stenographer Recruitment 2019? BSSC Stenographer Recruitment 2019: Bihar Staff Selection Commission (BSSC) organization had announced the latest notification for BSSC Stenographer Recruitment 2019 for 326 Stenographers posts. Those candidates can apply from 7th March 2019 to 30th March 2019. Candidates can get more information according to BSSC Stenographer Openings 2019, you can see the official website of Bihar Staff Selection Commission (BSSC) that is bssc.bih.nic.in. Applicants who searching various sites on the internet for BSSC Stenographer Recruitment 2019 Notification, they can check this page. In the below sections, we mentioned more information through BSSC Stenographer Jobs 2019 Notification such as educational qualification, age limit, selection process, important dates, application process, salary details, application fee, important links, others. Applicants who are ready to apply for this job, those applicants have to see the information about the educational qualifications for Stenographer posts you can also check the official website that of Bihar Staff Selection Commission (BSSC) is bssc.bih.nic.in to know the more information for the educational qualifications for Recruitment 2019. Applicant must have passed or Intermediate with Steno and Typing Knowledge of computer and word processing or its equivalent qualification from any recognized University can apply for BSSC Stenographer Notification 2019. Applicants who are eligible, they can see the entire information about the selection process. You can also see the official notification for more updates. Candidates who had performed well in the entire selection process, they will be part of the Bihar Staff Selection Commission (BSSC) organization. In this below section applicants, you can get more info of post-wise vacancies for BSSC Stenographer Openings 2019. A hefty number of candidates showing much more interest to apply for these posts. The officials decided to conduct the Written Examination for all the applicants. For further information regarding through BSSC Stenographer Recruitment 2019, you can the official website that is bssc.bih.nic.in. All selected candidates can get more financial income for these posts. All interested and eligible candidates will be able to pay the application fee. How To Apply For BSSC Stenographer Recruitment 2019? First of all, applicants have to visit the official website of Bihar Staff Selection Commission (BSSC) that is bssc.bih.nic.in. In that, you can see the more sections, then you can go through the notice board section. Then you can search the BSSC Stenographer Recruitment 2019 notification link. Recheck the application form whether correct or not. 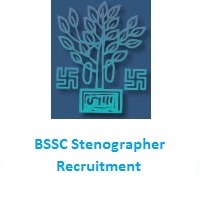 Take two or more copies of the BSSC Stenographer Recruitment 2019 application form for further reference. All the interested candidates searching for BSSC Stenographer Recruitment 2019 in India can check this page for all latest recruitment 2019 updates. Find more details and updates about BSSC Stenographer Recruitment 2019, exam results, dates, schedules, and others. Applicants can bookmark our site that is Sarkari Recruitment by clicking Ctrl+D for more updates on Bihar Staff Selection Commission (BSSC) Stenographer Recruitment 2019, and they can also share this information along with their friends. If any of the applicants have doubts, they can comment us in the below section. Thank you.